About a week after planting the seeds we have little seedlings appearing All the cucumber seeds have sprouted as well as a couple of the tomato plants. So far no sign of life from the eggplant or cherry tomato plant seeds. Apparently its a bit too cold to plant the seedlings yet and warming the soil a bit can also help. 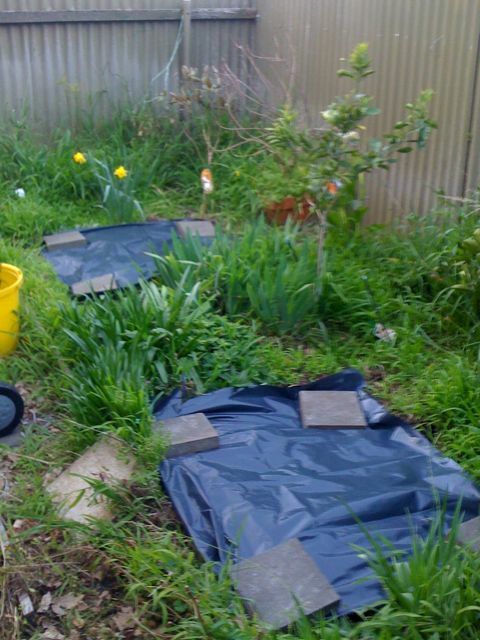 So I’ve put down some black plastic where we’re planning on planting the seedlings when they’re ready. I dug some organic fertiliser into the ground and we picked up some pea straw for mulch so are already once the seedlings have matured enough to go outside. The weather forecast for Saturday was clear and sunny so Kelly and I decided to take Alyssa out to see if we could get some good high resolution outdoor photos of her. Most of the photos we have of her are low resolution ones taken with our iPhones. 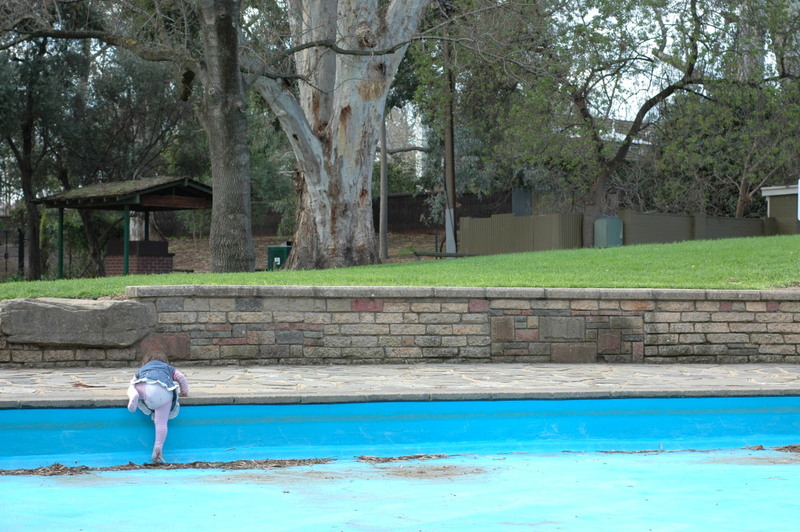 So I got out my D70s and 50mm f/1.8 portrait lens and we headed out to Tusmore Park near to where I grew up. 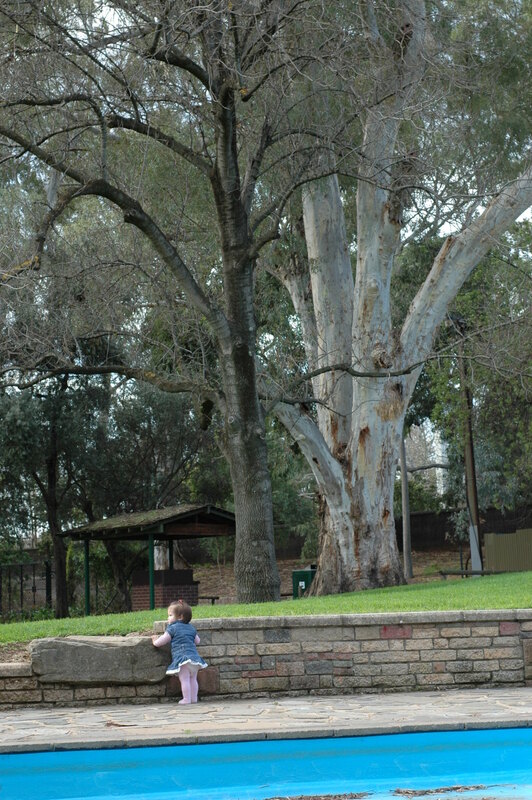 Its a really nice green grassy park with a good playground, creek and tall trees. 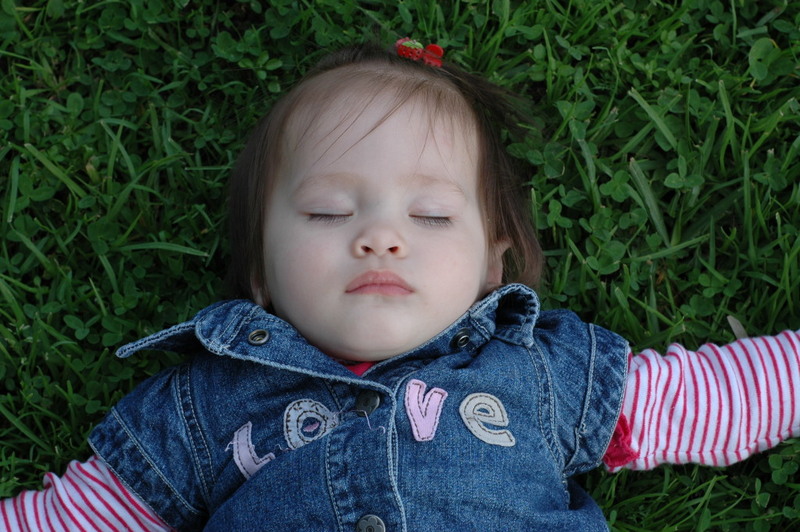 By the time we had arrived at the park Alyssa had fallen asleep in her car seat and we lay her down on the grass until she woke up. Although I took almost 200 photos my favourite photo of the set was taken right near the beginning when she was still asleep on the grass. I like it so much I’m thinking of getting a large canvas print done. 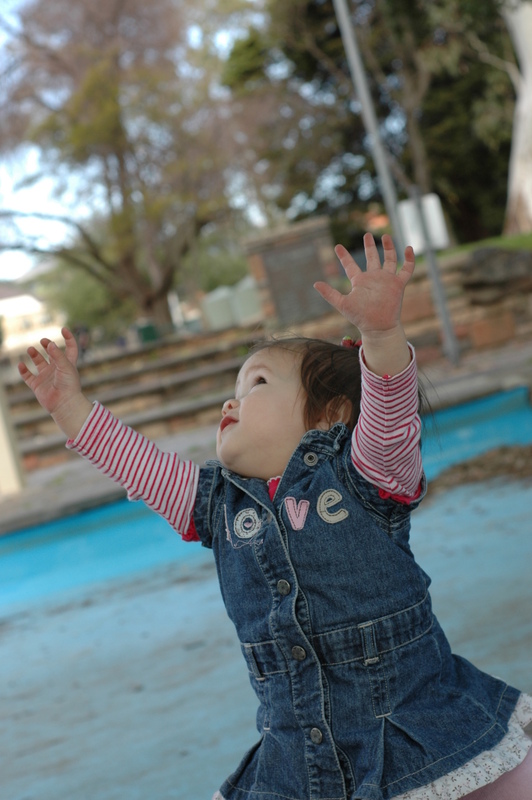 When she woke up and realised she was in the park with a playground she was very happy! 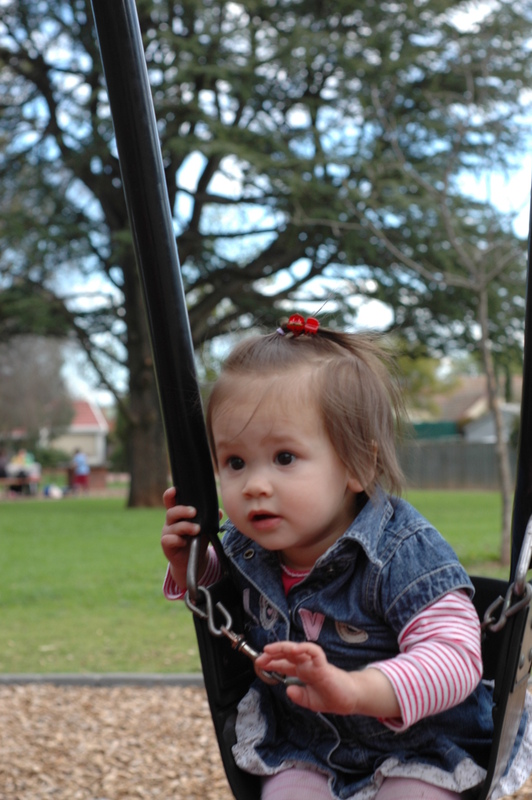 The lens has such a narrow depth of field that taking photos of her in focus while on the swing was quite difficult. 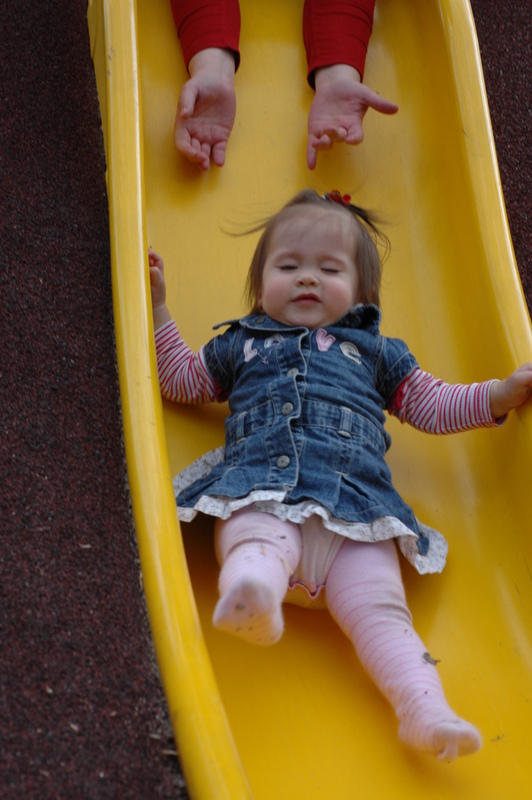 Same problem with the slide, although this action shot is not framed well, I love the expression on her face it captured. I think this one would have been really nice if I’d rotated the camera 90 degrees like the one after it. I think she’s lit really well in these two photos and it might have been because of the light coloured pool floor reflecting light up from below her. Although it would have been much nicer if I’d framed it like the following which shows how tall the trees in the background are. It turned out to be a lot cloudier than we expected so the light wasn’t as nice as we were hoping for. 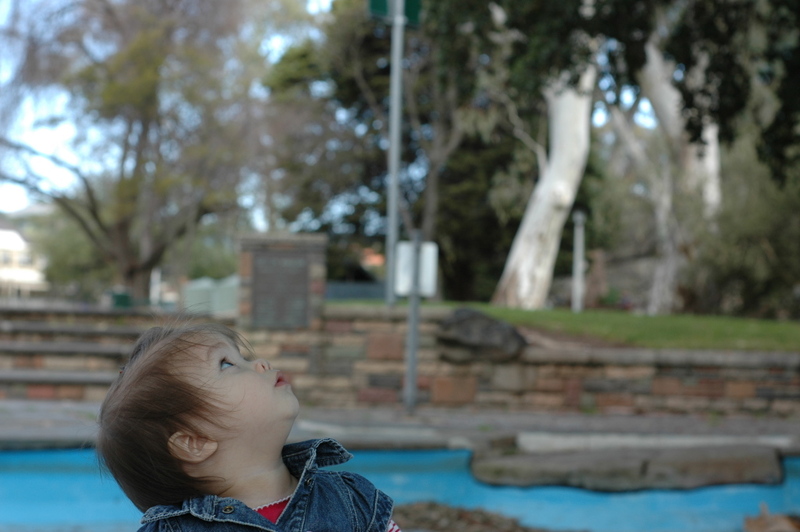 I’m really pleased with how some of the photos turned out and I learned quite a bit, so next time there is bright sunny day on the weekend we’ll be out at a park again. We’ve been thinking of growing some of our own vegetables for a while now. Finally this weekend got around to buying some seeds. 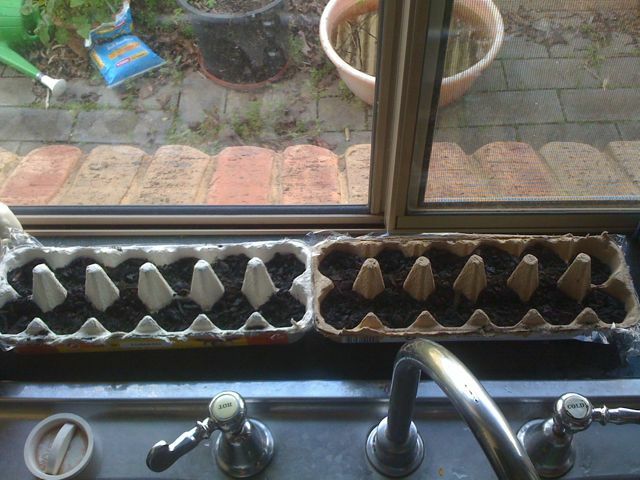 Its still a bit cold to plant anything outside, but we’re using a couple of egg cartons in the kitchen window to start the seedlings which should be ready when the weather warms up. We have a row each of tomatoes, cucumber, cherry tomatoes and eggplant. 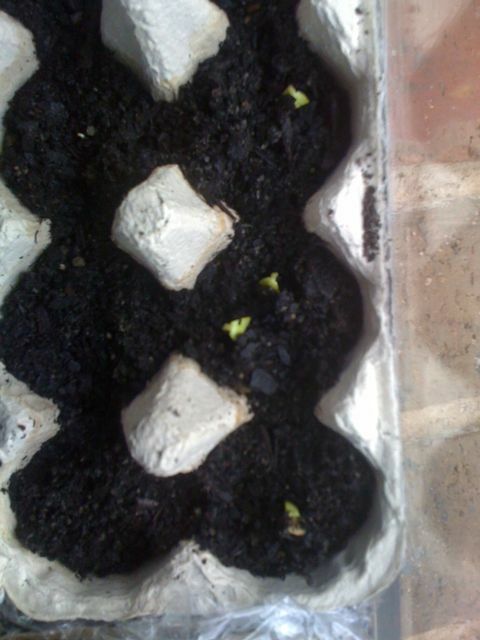 If these sprout ok in couple of weeks we’ll start another lot of the same.